Entrance13D model ready for Virtual Reality (VR), Augmented Reality (AR), games, Postproduction, Photomanipulation and other real-time apps. 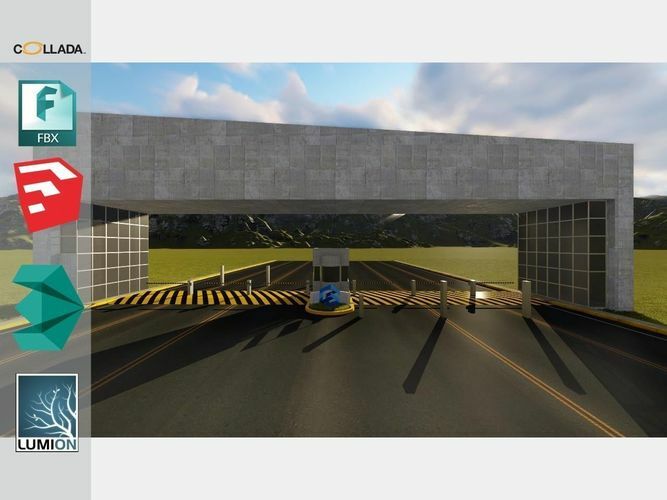 A entrance gate with a security cabin for big entrances for residential complex and office spaces. Materials in 3DS Max & Sketchup included. Models already preloaded in lumion 6, just copy and paste on your computer or import it from the included scene. --------------------------- File formats: - 3dmax 2013 - Vray 3.40 - OBJ - FBX - DAE - 3DS -Sketchup 2013 -Lumion 6 ------------------------------- Enjoy!